MC&I designed, manufactured and installed the RIDGLOK® Vertical Standing Seam Panel Insulation System on a fire protection ground storage tank located in Claycomo, MO. 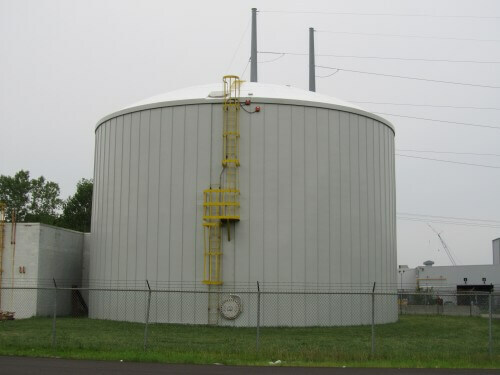 The storage tank was utilized to hold fire protection water for an automotive manufacturing facility. 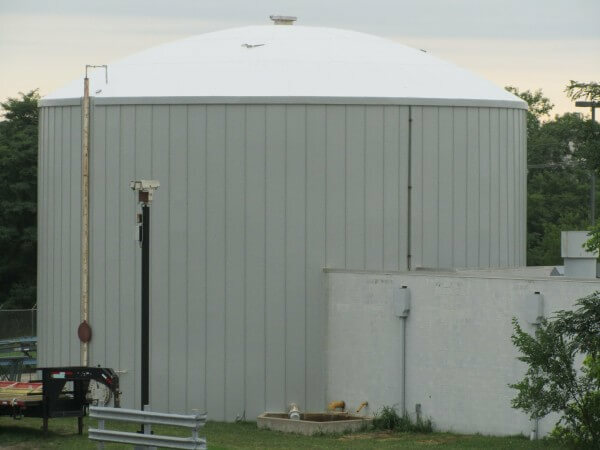 The storage tank was a 52′ diameter x 32′ high welded tank with a dome roof. The tank insulation project was completed August 8, 2013. The RIDGLOK® Vertical Standing Seam Insulated Panel System consisted of 0.024 stucco-embossed aluminum metal jacketing, in gray, laminated to 1.5″ of polyisocyanurate insulation board. R-value of 10.3, using a dome gore roof system. The RIDGLOK® Vertical Standing Seam Panels can be applied to all types of storage tanks, including flat bolted, chimed bolted, glass lined, fiberglass, welded, stainless steel and concrete. 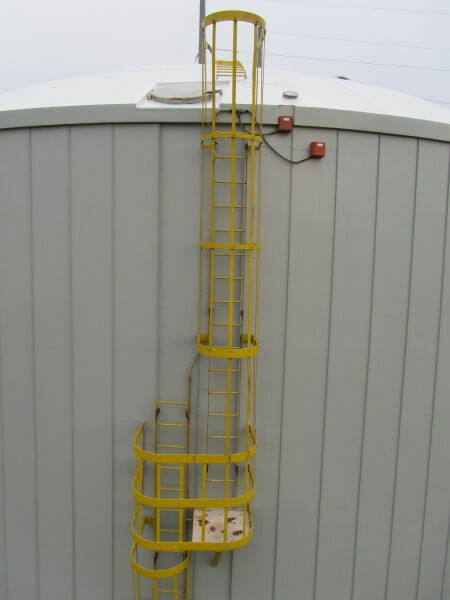 The storage tank does not need to be taken out of service to install the system. Insulating fire protection tanks with RIDGLOK® Vertical Standing Seam Insulation provides energy savings by reducing the amount of electricity needed to heat the tank.